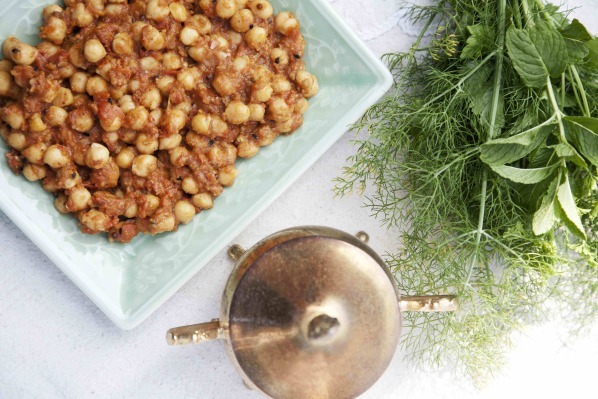 Spicy chickpeas – recipe courtesy of Romy Gill. • Heat oil in pan, add five-spice mix and grated ginger. • Fry for couple of minutes till ginger is light brown in colour. • Add red Kashmiri chilli powder and coriander powder. 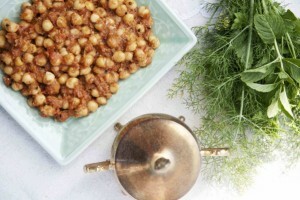 • Drain and wash the chick peas and add to the pan. Mix well. • Cover the pan and leave it on low heat to cook for 10 minutes. • Stir occasionally and check that it doesn’t stick to the pan. • Remove the pan from heat and garnish with fresh coriander leaves. Romy Gill is a chef, business woman, writer, wife, mother and marathon runner and is passionate about good health. She focuses on the nutrition and healthy aspect of Indian cooking and whilst devising her recipes for ‘Curries Without Calories’ lost a great deal of weight. 2012 will be an exciting year for Romy as she opens her restaurant in Thornbury near Bath ‘Romy’s Kitchen.’ A cookery school will follow. Romy grew up in India’s West Bengal, where her family cooked with traditional flavours from around the area. She speaks five languages. From a young age, Romy would cook with her mother and living in a multi cultural community, was introduced to recipes and styles of cooking from different regions of India. Since then, her passion for cooking has grown and when she moved to the UK, her desire to introduce people to true Indian home cooking grew. She has always been aware of the benefits of a healthy lifestyle, founded on a nutritious, balanced diet and wishes to pass her knowledge on to others, especially younger generations. She lives in the West Country with her husband and two daughters . Over the years she has introduced them to different foods and tastes. This evolved into her creating her own line of sauces, spice mixes, lemon pickle and mango chutney.